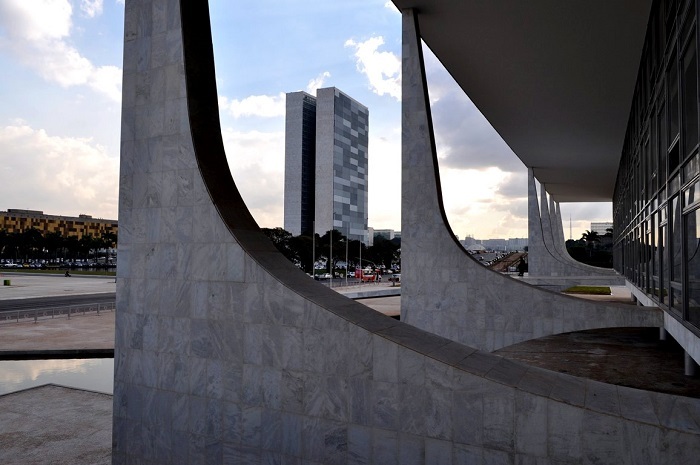 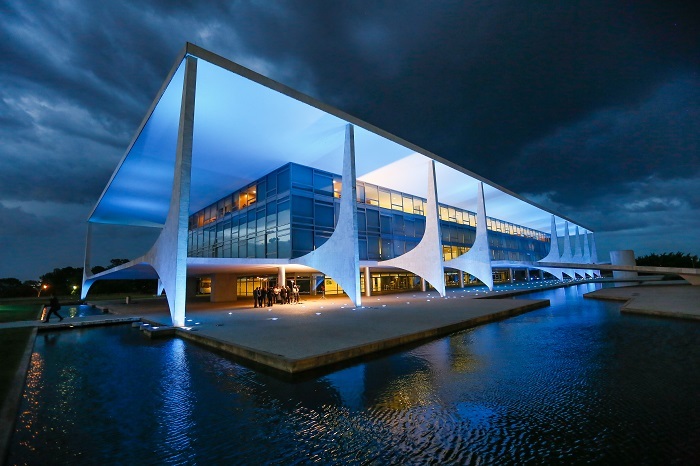 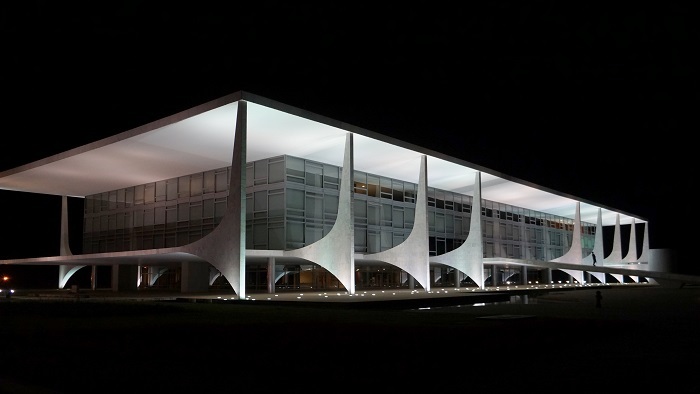 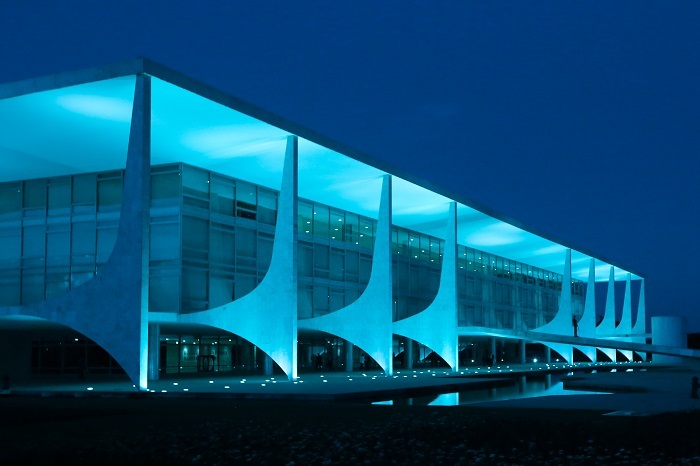 The Palácio do Planalto is a unique building that serves as the official workplace of the President of Brazil, and it is located in the capital city of the Federative Republic of Brazil, Brasília. 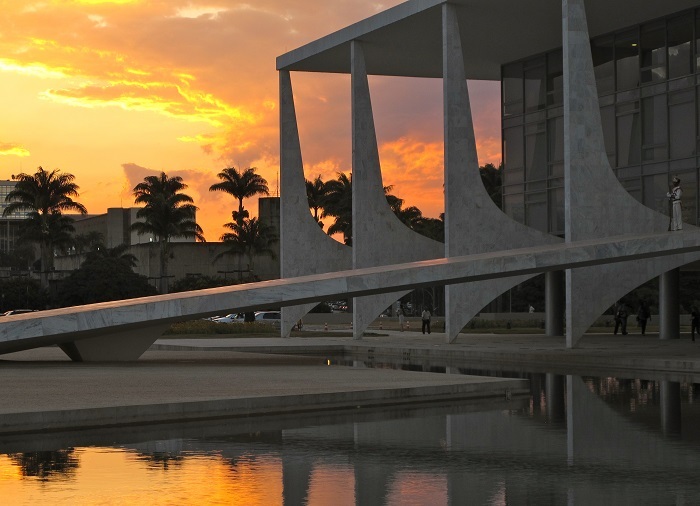 The construction of this interestingly shaped building began on 10 July 1958 according to the design by the architect Oscar Niemeyer, and by 1960 it was officially inaugurated. 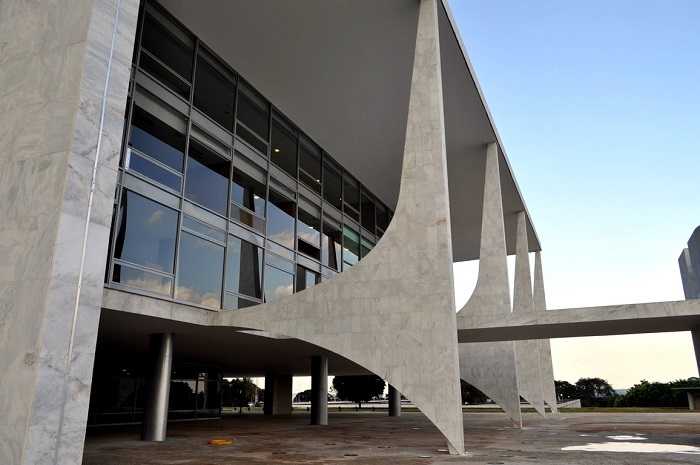 Since then it has been the official workplace of every Brazilian president, with Juscelino Kubitschek being the first one. 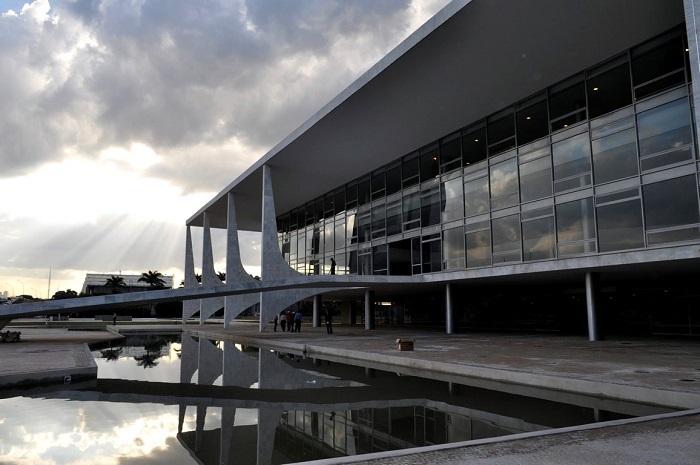 When the new capital of the federation was put into use, the palace was among the first ones to be inaugurated, where the inauguration ceremony was attended by several heads of state and attracted thousands of spectators, as it symbolized the transfer of the capital city from Rio de Janeiro to the center of the country. 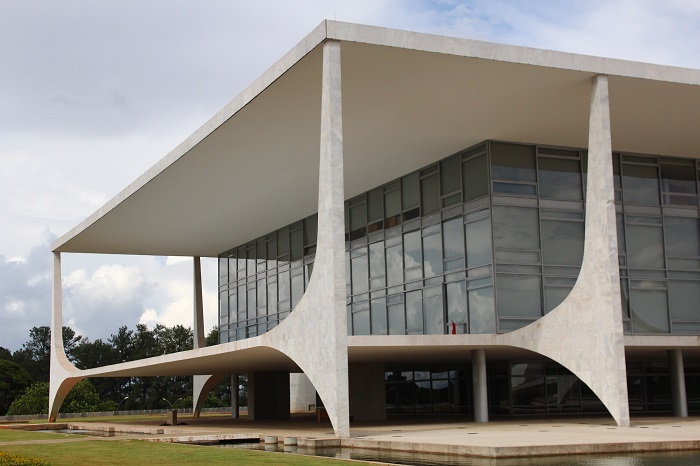 Similar to the Palácio da Alvorada, which is the official residence of the President of Brazil, the longitudinal lines are kept by a sequence of columns whose design is a variation of those at the residence, however, they were arranged transversely to the body of the building. 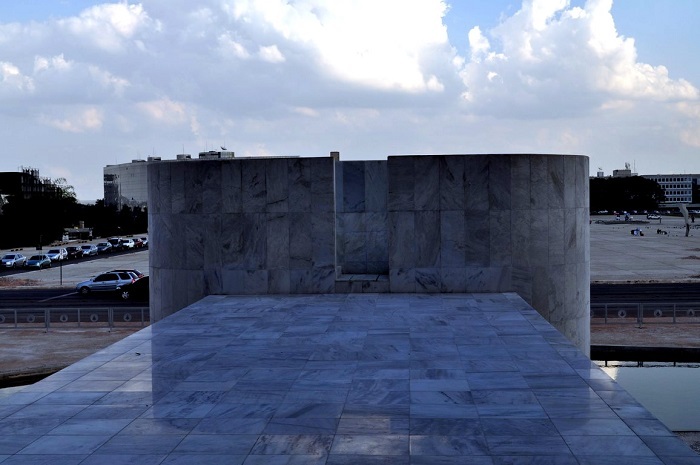 The tall slender columns that are covered with white marble and support the white concrete roof are making the structure to look bigger than it actually is. 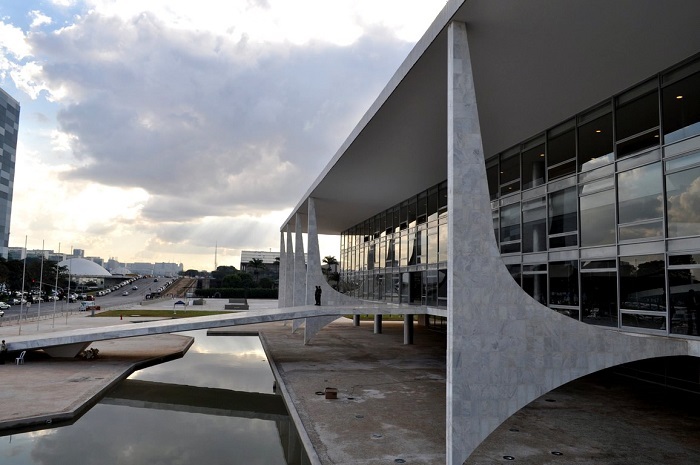 There is a ramp which leads to the hall and the speaker’s platform from where the president and foreign heads of state can address the public at the Three Powers Plaza. 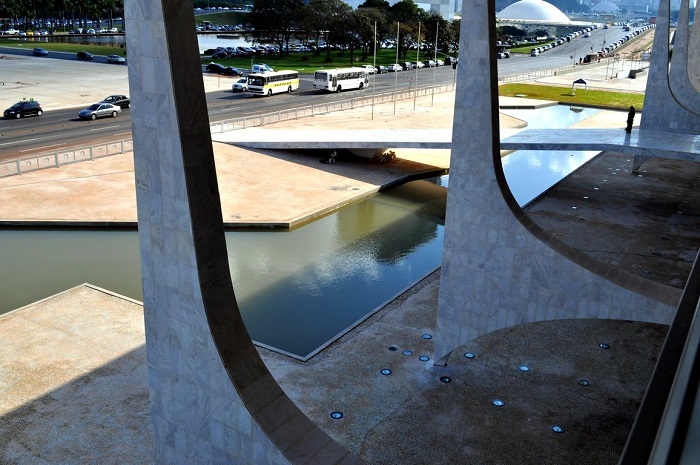 In addition, there is a reflecting pool which was added in front of the structure in 1991, so that the security would be increased and the humidity would be better balanced during the long dry season in Brasília. 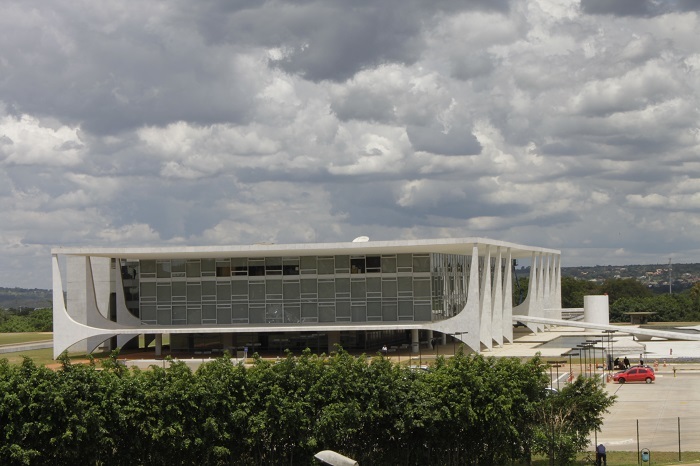 Open to the public every Sunday, there are guided tours which are explaining more in details about the importance of this four floors building, and being in front of the historical Monumental Axis of Brasília, it is featured on every promotion material that shows the interesting contemporary architecture of Brazil’s new capital.